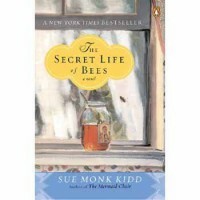 This book reminded me alot of the Saving CeeCee Honeycutt book. And I have to say that I liked that book more. I didn't hate this book, but I just didn't connect with any of the people. I did learn some things about bees that I never knew so that is a plus.